OpenSDNCore | What is NFV? 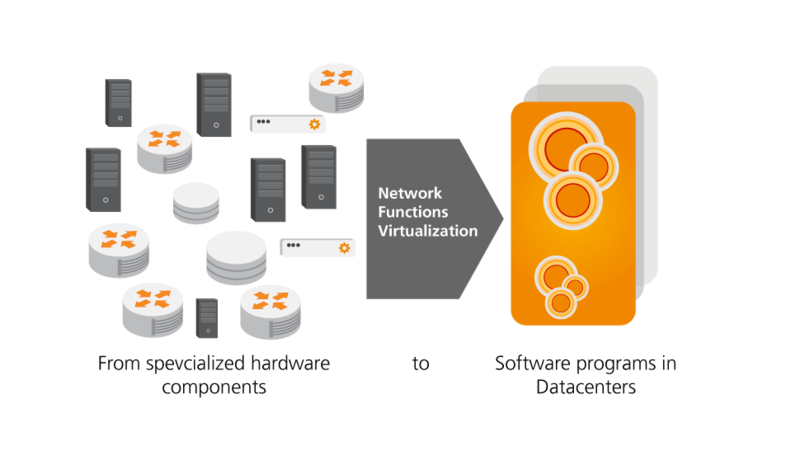 – What is Network Functions Virtualization (NFV)? OpenSDNCore – What is NFV? Today’s communication networks are designed to be deployed as a set of physical specialized components exchanging messages over standard interfaces. With the increase of data center technology, a new opportunity for deploying functions as software on top of common hardware architectures appeared, named Network Functions Virtualization (NFV), currently driven by the ETSI NFV ISG to which Fraunhofer FOKUS is part of. In order to realize a perfomant, predictable and reliable system, NFV presumes the research into three different domains: infrastructure evolution (servers, network cards, switches, …) , service enablement evolution (hypervisors, VMs, orchestration, …) and virtual network functions best practices (state sharing, load balancing, fault recovery, …). Additionally, to the telecom operators carrier grade functionality virtualisation, the NFV environment addresses the enterprise network market, enabling the flexible, on-demand deployment of small and medium size networks through the virtualization of Firewalls, CPEs, STBs, enterprise applications, etc and through this reducing the deployment and maintenance costs.